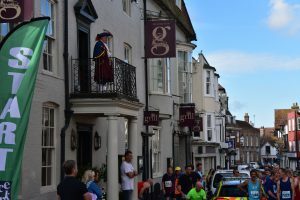 About 250 runners massed in Rye High Street last Sunday morning, September 9, ready to take part in the Ancient Trails Run. 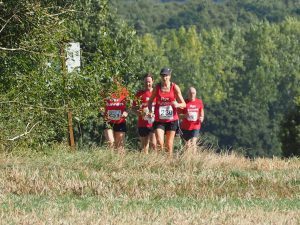 The 30km course took the runners on a circular route along paths, farm tracks and lanes linking Rye, Iden, Beckley, Northiam, Peasmarsh and back to Rye. First home in the 30km race was Andrew Donno of Eastbourne Rovers Athletics Club in 2hr 24 minutes. In the 15km race, it was Daniel Newman of Hawkinge Hurricanes Running Club in under 1hr 10 minutes, both in the seniors category. More than 50% of the total runners were classed as vets, (veterans not veterinary practitioners). 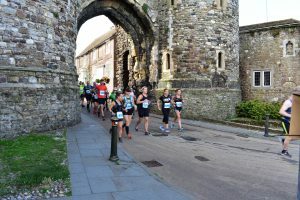 The first home for Rye Runners in the 30km race was David Brightling who completed the course in 2hr 54 minutes, and placed no. 25. Rowley Merricks was the first Rye Runner to complete in the 15km race in 1hr 16 minutes and 53 seconds. He was placed 10th. 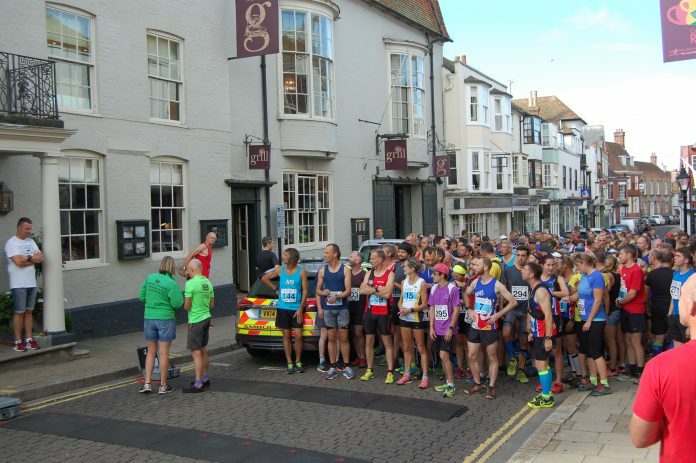 Other clubs taking part were the Horsham Joggers, the Sittingbourne Striders, the Hastings Runners and many more. Each runner’s vest carried a GPS tracking code, capable of identifying their location at all times throughout the race. There were trophies for category winners and medals for all. Image Credits: Kenneth Bird, John Minter, Jacqui Maxted.